Product #18669 | SKU RODSC4 | 0.0 (no ratings yet) Thanks for your rating! 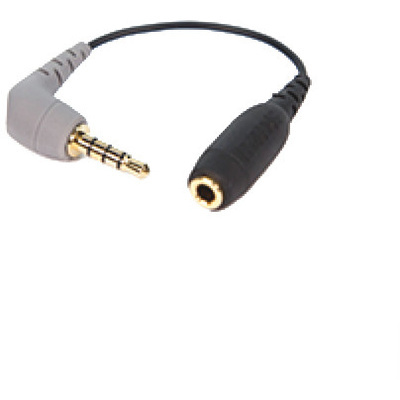 The SC4 3.5 mm TRS to TRRS Adaptor from Rode is designed to let you connect a microphone with a 3.5 mm output, such as the Rode VideoMic, to smart devices with a 3.5 mm TRRS input. It features colour coded, gold-plated connectors, with gray indicating the TRRS connector, in addition to shielded construction. The SC4 is compatible with stereo microphones and combines left and right channels to a mono signal for TRRS compatibility.